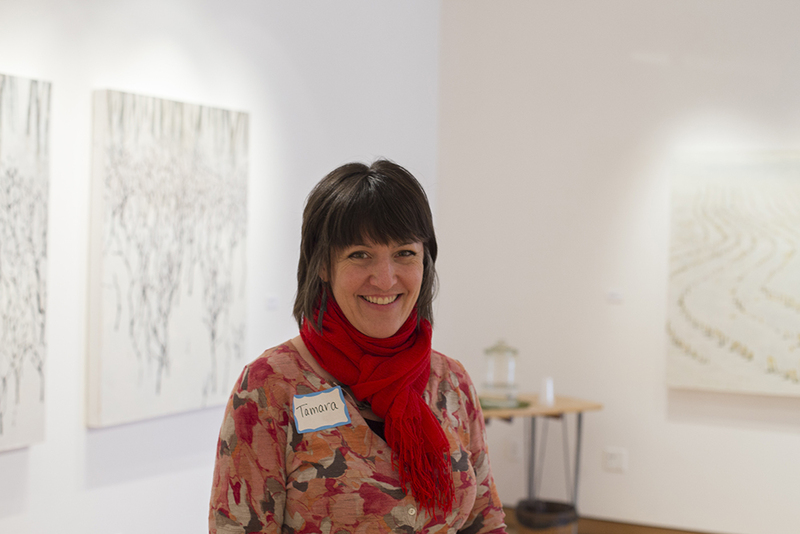 The Furlong Gallery welcomes students into the new semester with a landscape collection by Professor Tamara Brantmeier that will easily resonate with many Wisconsinites. Brantmeier’s exhibit, “Painting the Personal: Landscape as Allegory,” opened on Jan. 23 in the South Gallery. Visitors will find the predominantly white oil-on-canvas paintings of Midwestern scenery to be reflective of the current snowy climate. Brantmeier, who is also the director of the University of Wisconsin–Stout’s School of Art and Design, began work on the exhibit during her sabbatical last spring. These landscapes are a change from her more colorful, figure-centric work of the past. This exhibit is being made available in conjunction with the Furlong’s annual School of Art and Design Faculty Show in the North Gallery, which begins Feb. 6. Furlong director and metals professor Susan Hunt is excited to see the rest of the faculty’s talent on display and share their works with students. Hunt takes particular interest in Brantmeier’s paintings because of their unique visual language. “Professor Brantmeier offers an interesting way of seeing our familiar Wisconsin landscape in a different way,” Hunt said. Brantmeier welcomes students of all fields of study to come see her exhibit, as viewers need not strain themselves to find an intellectual message from the paintings. “I hope viewers can come and see the harshness of winter in a different light and simply enjoy the exhibit for art’s sake,” Brantmeier said. “Painting the Personal: Landscape as Allegory” will run through March 16 in the Furlong Gallery, which is located in 178 Micheels Hall.